This vehicle was side-swiped by a passing tractor trailer that was damaged itself after attempting an illegal turn. 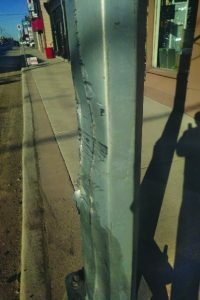 This traffic light was struck by a passing transport truck. 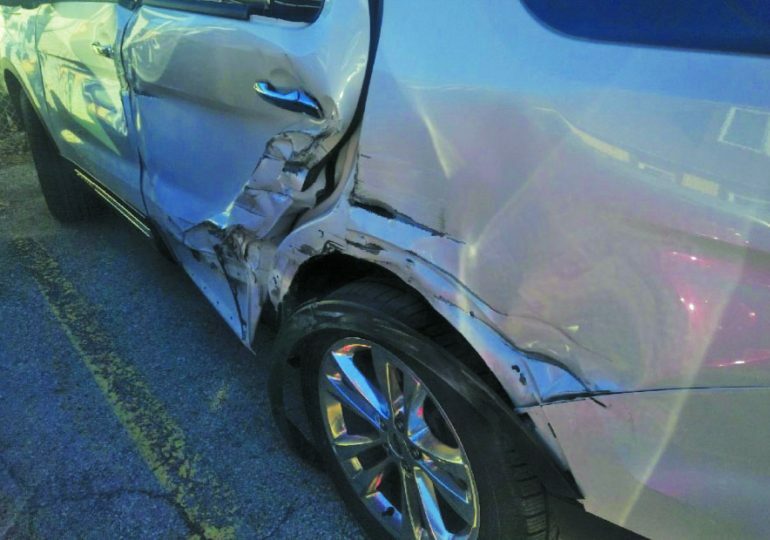 Zdunich had just exited the barbershop with his grandson on Main Street on March 26, 2019 around 5:10 p.m. when a tractor trailer made the illegal right turn: “As the truck continued slowly around the corner the two outside dual tires exploded and the rubber tire ripped off the rims. The red-light standard swayed violently as the truck came in contact with it,” said Zdunich. Zdunich called 911 as the truck continued out of town “at a slow speed with the tires starting to smoke”.